Rep. Les Osterman, a Republican from Wichita, spoke to disability advocates at a March rally outside the Capitol seeking a delay of the state's plan to integrate Medicaid waiver services for Kansans with disabilities. Gov. Sam Brownback’s administration will not fight a legislative directive to postpone the integration of Medicaid waiver services for Kansans with disabilities, according to an email sent by an administration official. The Legislature passed a budget early Monday that included a provision prohibiting spending in the next fiscal year on any waiver integration plan to be implemented before July 2018. Brownback could have vetoed that part of the budget bill. But an email sent Wednesday by Becky Ross, director of Medicaid initiatives for the Kansas Department of Health and Environment, suggests the governor will let it stand. The administration’s decision appears to end a months-long saga during which advocates for Kansans with disabilities repeatedly voiced concerns that the integration plan was moving ahead too quickly, with too few details about how it would be operated. The waivers provide Medicaid coverage for support services that allow Kansans with disabilities to remain in home and community-based settings rather than institutions. The services are split into seven groups based on type of disability: developmental, physical, frail elderly, autism, traumatic brain injury, technology assisted and serious emotional disturbance. The Brownback administration’s plan would compress the services into two groups: one for children and one for adults. Administration officials say that would allow all Kansans to receive a broader array of services more efficiently, rather than being constrained by labels. But disability advocates worried it could lead to service reductions. The administration already agreed to delay it once, prior to this week’s suspension. Sean Gatewood, a former Democratic legislator, is a spokesman for the KanCare Advocates Network, a coalition of groups that work with people on Medicaid, which in Kansas is a privatized program called KanCare. “We’re just excited the administration and the Legislature took a stance to delay (integration) and get meaningful input from legislators and stakeholders,” Gatewood said. Rep. Dan Hawkins, a Republican from Wichita who chairs the House Health and Human Services Committee, appointed a subcommittee to evaluate the administration’s integration plan and the advocates’ concerns. After that subcommittee in March returned a report that also concluded the plan was short on details and should be postponed, Hawkins procured a letter from Lt. Gov. Jeff Colyer assuring him the administration would not move forward until after the 2017 session. According to Ross’ email, the project is now on hold indefinitely. 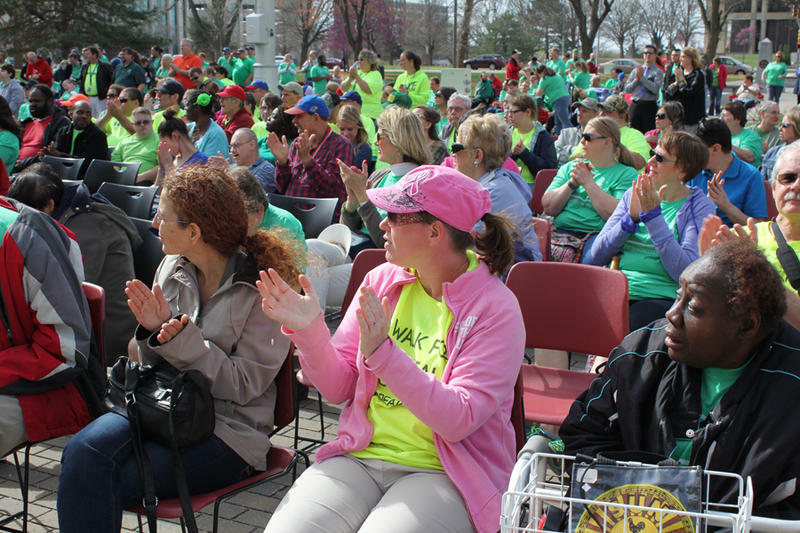 Hal Schultz, a Lawrence resident who leads a self-advocacy group for Kansans with intellectual and developmental disabilities, said that was good news. “I actually like that idea, because I think that if we put all the waivers into one that it would make things really confused for the state and for self-advocates and also that services would not be done the correct way,” he said. Schultz, who spoke about waiver integration during a March rally at the Statehouse, said he felt like he was being heard by his representatives in government. Schultz said he and other advocates remain willing to provide input on any future waiver integration plan. But Wednesday’s announcement also suspended the activities of several workgroups the administration had formed to discuss the plan. The Kansas Legislature added several patient protection measures to a bill allowing “step therapy” for Medicaid drugs before passing the legislation early Monday morning. 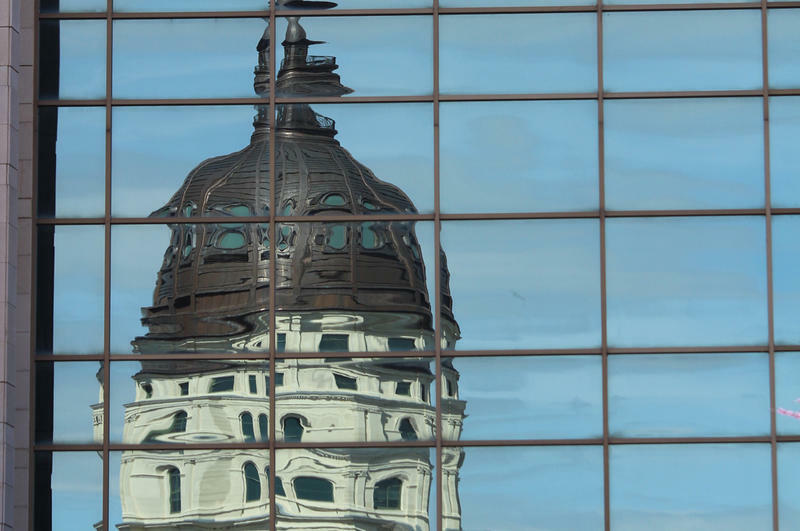 Advocates for Kansans with mental illness and other conditions were pleased with the changes but remain concerned about the possible effects of the underlying bill on vulnerable patients. Step therapy requires Medicaid patients to try the least expensive medications for treating their ailments first. If those fail, they can then “step up” to a more expensive alternative. Advocates for elderly and disabled Kansans are anxiously awaiting the publication of the state’s plan to combine seven Medicaid waivers into one. The waivers currently provide home and community-based services for people within a range of support categories, including developmental disability, physical disability, traumatic brain injury or frail/elderly.